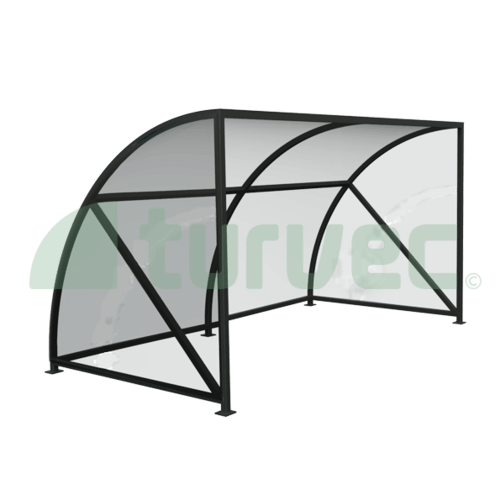 The Quadrant 10 space cycle shelter provides weather protection for parked bicycles. Our most cost effective bike shelter. 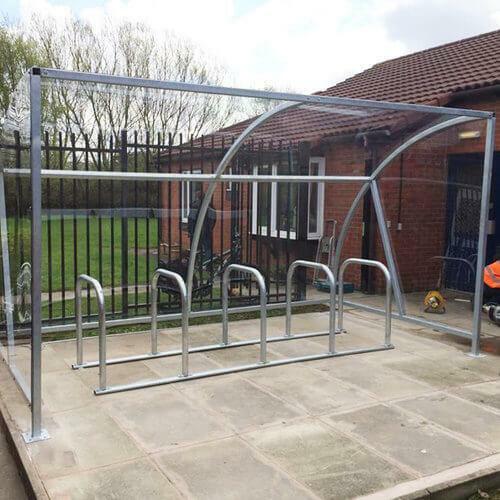 Cycle shelters are delivered for on site installation, for surface mounting or root fixing dependant on location and requirements. 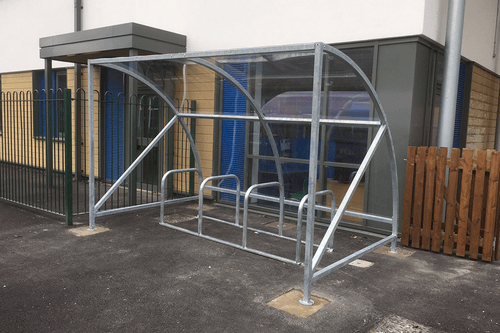 Bike shelters requires a secure, suitable surface for installation, a concrete slab or pads for shelter legs and feet is our recommend base. Turvec provide installation and groundworks for our bike shelters. 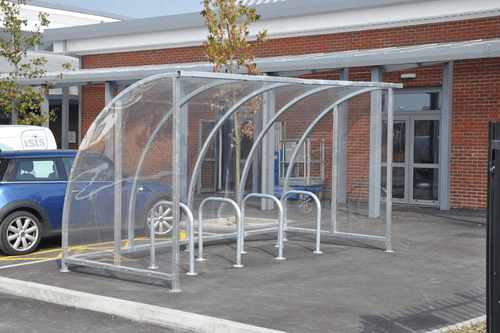 Turvec’s ten space bike shelter provides simple, robust weather protection for bike storage, available with our without side panels dependant on location. Galvanised with polycarbonate roofing as standard, powder coating, gates and bespoke cladding are available at additional cost. 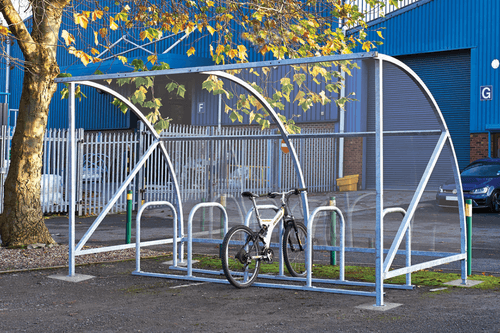 Bike shelters are a modular design and can be extended to house any number of bikes, additionally shelters can be enclosed and fitted with gates to create a secure compound. The modular shelters can be extended and adapted in after installation to accommodate future requirement.